Been a few days since I have had time to hobby. I am soldering out of brass a set of engine mounts for a Fw-190 so that I can mount a CMK BMW 801 engine. The brass tubing I am using is just the right size for the engine mount. The biggest issue I had to overcome to get started was how far forward did the ring, which comes in the CMK kit (and to which all other engine parts attach), should be. 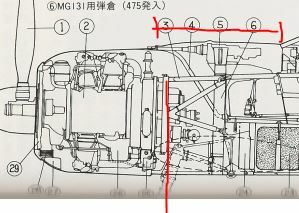 I found the answer in this picture in the Model Art Fw-190 book. Since I know where the windshield ends, and I know where the guns show out of the cover, I can use those two data points to allign the ring distance from the bulkhead. 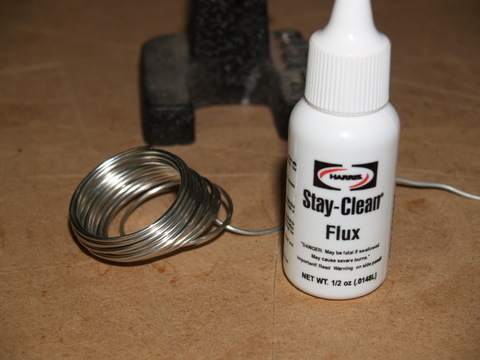 I am soldering brass with silver solder and a flux kit I bought at Tammies Hobbies. The idea is that I clean up the brass tubing (rub the oxidation off with a scotchbrite pad), align the tubs in my trusty x-acto holder, put a piece of brass wire between the two (whcih will become the “mount”), put a drop of flux on the connection, heat it up with the old trusty soldering torch, and add solder. And the little tiny drop of solder runs into the tubes and holds it all together. (I’ll have to clean it all up so that it looks better after I get the whole thing done). So here is the piece soldered..
And here it is looking pretty buff on the model. I need to add the rest final two tubes another night. 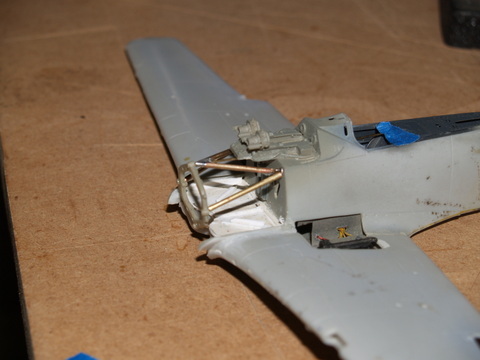 The Fw-190 I have been working on since 1997 is now progressing. Writers get writer block; I get new technique block. My trouble began when I decided to open up this kit to show a full BMW801 engine. 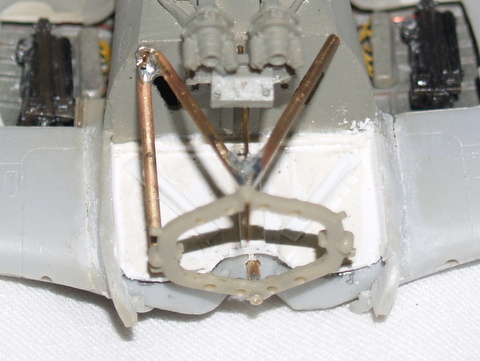 I am using the Verlinden Fw-190 detail sets and it’s has all the bells and whistles but the font end is faked. I wanted a full engine. I decided to use the CMK BMW801 engine. Now that I have opened up the front end, built a bulkhead, covered the top of the DML wheel wells, it’s now time to add the engine. Engine painted up really nice. Here is the CMK engine almost finished. Next comes the engine mounts. I have thought about super gluing brass rod together for a time but that just didn’t seem right. I need to learn how to solder brass rod so I went with that approach. Sooner or later I’ll need to know how to do this to scratch build wooden ship models. I’ll cover soldering brass in the next post. Greetings and welcome. If you are looking for the two legged modeling blogs this is not it. 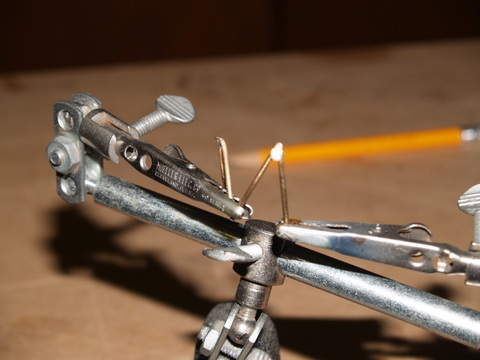 This blog is devoted to building scale models of aircraft, ships, and military vehicles. I have been building models since my Dad first let me put together a Revell B-47 kit in the 1960s. Although my work is spotty due to family, work, and volunteering (Boy Scouts) I manage to get a few done each year. I’d like to talk about that here. on a daily basis. I find their post easy to ready and they cover a wide gamut of topics. I even use Hyperscale to buy and sell kits from time to time. 1/96 Revell Consitution – Of all of the kits I have built in my life, I love the Revell large scale ship models. I have the foremast on this and I am rigging the ratlines by hand with real wooden deadeyes instead of using the cheesy ones that come pre-made in the kit. 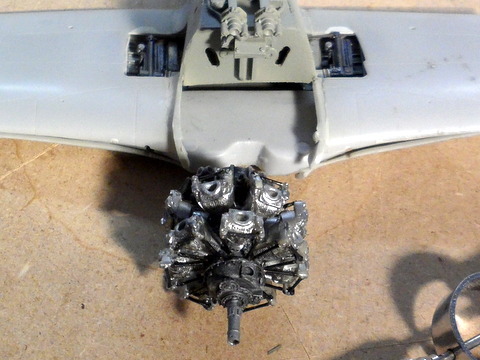 Stopped working on this to go back the the Fw-190. 1/64 Mamoli Marseille wooden ship kit – I have the hull frames put together and hope to get to planking the hull soon. It is my eventual goal to scratch build a couple of wooden ship kits from plans I have. This kit and the Revell’s have prepared my for the jest of sailing ship modelling. That’s all and happy modelling.